﻿Kansas City, Mo. (Dec. 5, 2018) – Feld Entertainment, the worldwide leader in live family entertainment, has announced the 2019 lineup* for the Kansas City Monster Jam shows with one of the eight Monster Jam trucks making its debut at Sprint Center. This season Monster Energy along with fan-favorites Grave Digger, Soldier Fortune and Zombie will all be vying for the Kansas City champion title. Monster Jam will be performing at Sprint Center January 11- 13 for four shows. For more information about the tour, please click here. *Please note that the 2019 Monster Jam Triple Threat line-up is subject to change. Friday, January 11 – 7 p.m.
Saturday, January 12 – 1 p.m.
Saturday, January 12 – 7 p.m.
Sunday, January 13 – 1 p.m.
Tickets & Pit Passes will be available for purchase online at www.axs.com charge by phone at (888) 929-7849 or in person at Sprint Center box office. The Monster Jam® Pit Party provides unprecedented access to the Monster Jam trucks and drivers. This unique experience in the world of motorsports gives you access to see the trucks up close, take pictures, meet the drivers and get their autographs. Pit Party passes are $15. To access the Pit Party, event ticket and Pit Party Pass must be presented upon entry. 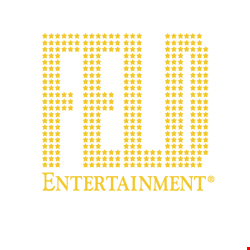 Feld Entertainment® is the worldwide leader in producing and presenting live family entertainment experiences that bring people together and uplift the human spirit. Properties include Monster Jam®, Monster Energy Supercross, Disney On Ice, Disney Live!, Marvel Universe LIVE!, Sesame Street Live!, DreamWorks Trolls The Experience and Jurassic World Live Tour (coming Fall 2019). Across the brand portfolio, Feld Entertainment has entertained millions of families in more than 75 countries and on six continents. Visit feldentertainment.com for more information.